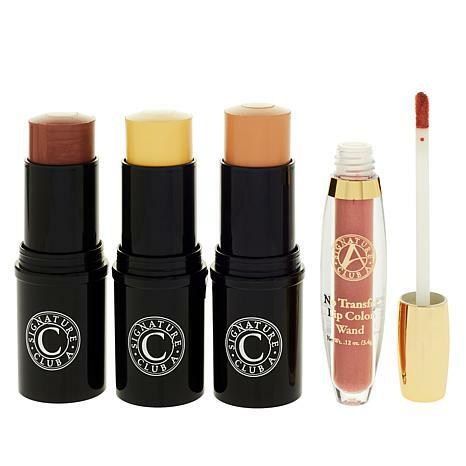 A collection of Rapid Transport C infused skincare makeup designed to help give you a beautiful makeup look that last all day. One of our most luxurious lip color options. Ingredients: Water, Cyclomethicone, Cetyl Dimethicone Copolyol, Talc, PVP-Hexadecene Copolymer, Magnesium Sulfate, Dimethicone, Caprylic-Capric Triglyceride, Sorbitan Sesquioleate, Trimethylsiloxysilicate, Xanthan Gum, Fragrance, Methylparaben, Sorbic Acid, Sodium Dehydroacetate, Tocopherol, Ascorbyl Palmitate, May Contain: Mica, Titanium Dioxide, Iron Oxides, Blue 1 Lake, Red 7 Lake, Carmine. Ingredients: Hydrogenated Polyisobutene, Cyclopentasiloxane, Octyldodecanol, Ozokerite, Microcrystalline Wax, Talc, Neopentyl Glycol Diethylhexanoate, Dimethicone, Trimethylsiloxysilicate, Nylon-12, Titanium Dioxide, Methylparaben, Tocopherol, Magnesium Ascorbyl Phosphate, Sodium Hyaluronate, Ethylhexyl Palmitate, Silica Dimethyl Silylate, Butylene Glycol, Caprylyl Glycol, May Contain: Mica, Titanium Dioxide, Iron Oxides, Yellow 5 Lake, Carmine, Blue 1 Lake. I haven't worn make up for years. I just used a tinted moisturizer. I tried this makeup and love it. Thanks so Much. 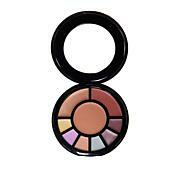 This has been my go to choice of makeup for years and years...until the blusher was no longer offered. I could not find it as an individual purchase or in a set. So gradually I tried other brands of foundation. But when I saw this grouping, my fingers flew to order two sets. The concealer, foundation, lipstick, and blush are all winners. But the blush is so subtle that you can layer it and get exactly the coverage you want and thats what makes this such a relief to see again. Enjoy! Goes on smoothly. Easy to blend.